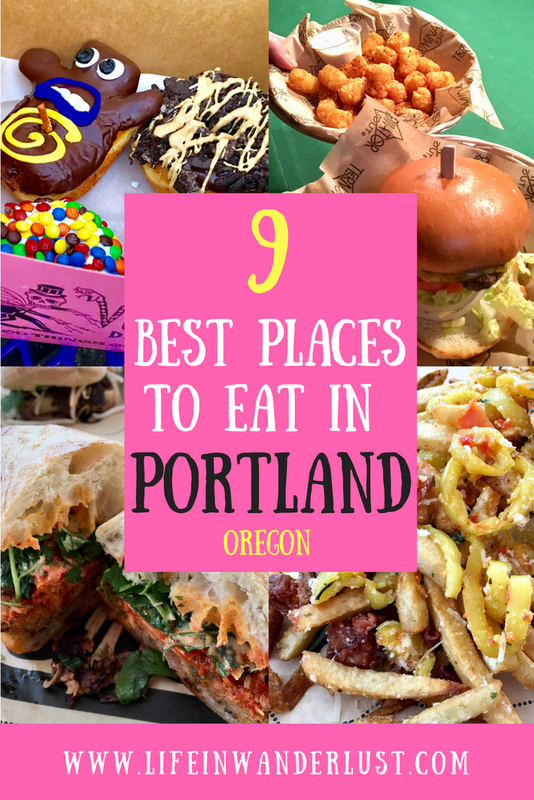 Looking for the best places to eat in Portland? You've come to the right place! 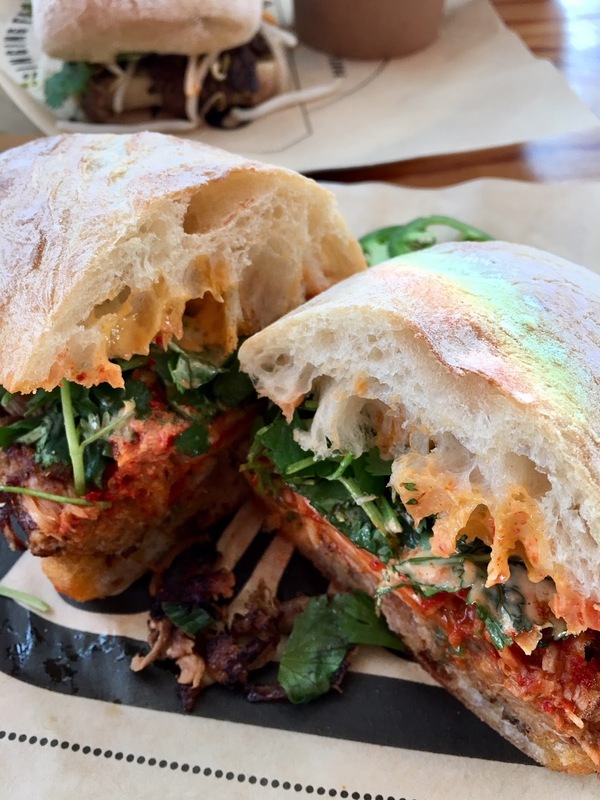 As a former Oregon resident, I had a blast going back to my old stomping grounds to find you Portland restaurants, especially downtown Portland restaurants that you need to try. My friends and I went back to favorite oldies, visited token Portland restaurants and tried out new spots during our 5 day trip to Portland. 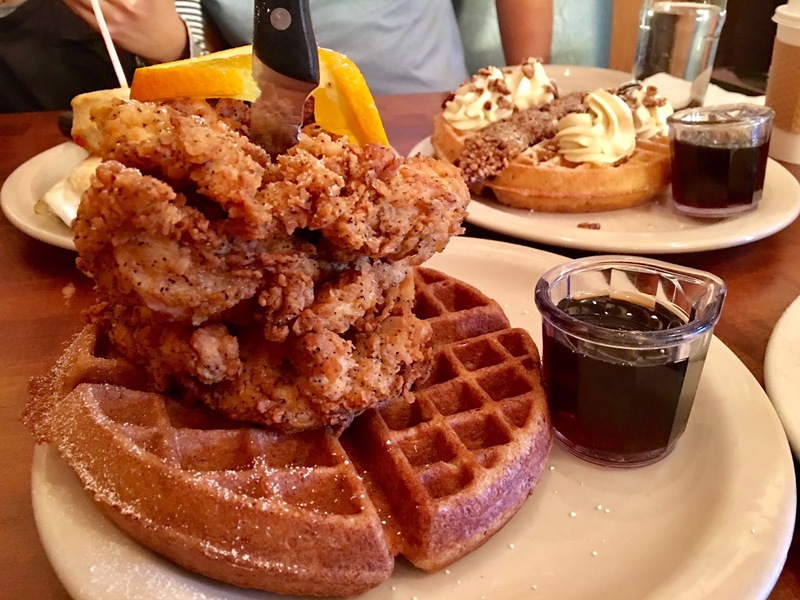 Whether you're a savory lover or have a sweet tooth, you're going to find something that satisfies you on this list of Portland restaurants. These restaurants are all tested and approved by the Life in Wanderlust crew! Would you rather listen to this list, including extra commentating? Click here to listen to the Life in Wanderlust podcast episode that mirrors this post! 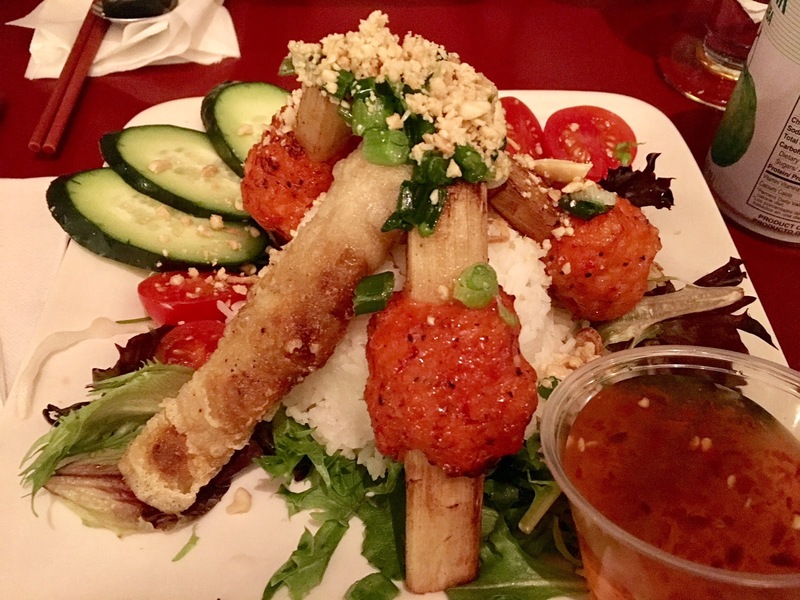 Luc Lac is a Vietnamese restaurant located in downtown Portland. One of my favorite restaurants in downtown Portland, for sure. 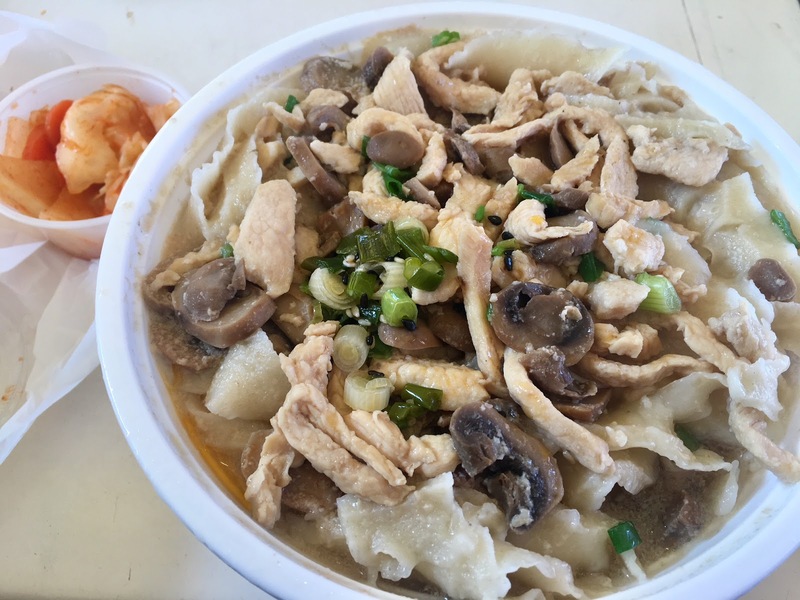 One thing I absolutely love about Luc Lac is that they're open pretty much all day. When I used to work in downtown Portland, I would often have lunch at Luc Lac. This time around, we went to Luc Lac at around 1AM since it's one of the only full service restaurants that are open that late. Late night hours at Luc Lac are on Fridays and Saturdays only from 12AM-4AM. Aside from the ridiculously loud rap music playing in the restaurant which prevented us from having a normal conversation, the food was as delightful as I remember. 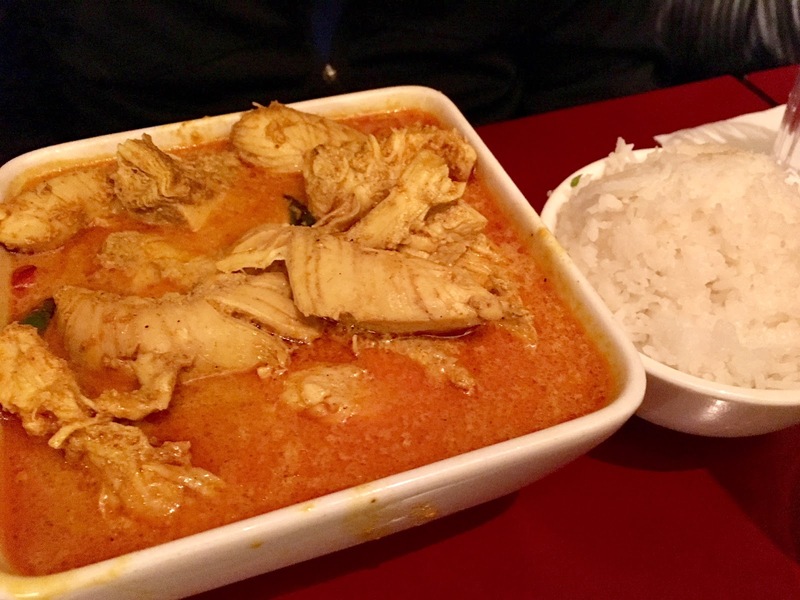 I highly recommend their Coconut Curry or Peanut Curry with rice, vermicelli or udon noodles - my absolute favorite! Oh, don't forget their Vietnamese Coffee, yum! Oh, Screen Door. I would go to their brunch every single weekend of my life if I didn't have to wait 1-2 hours in line for a table. That's right, you're going to have to be patient for Screen Door's brunch. Once you're finally seated and drooling over the dishes that go by you, you realize that it's all worth it. I'm a creature of habit and for good reason at Screen Door. I always order the Fried Chicken & Waffles and if that's the only thing you try there, you'll still thank me for it. 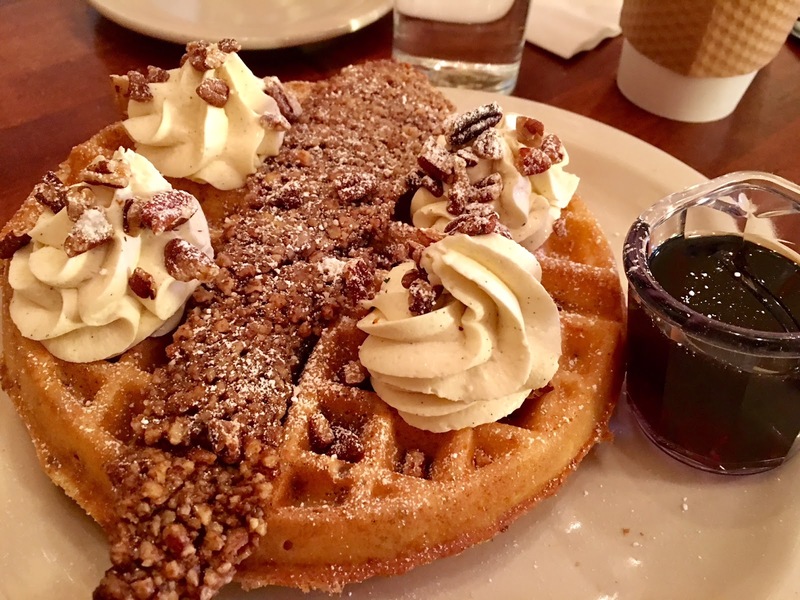 But for the sake of having a selection, I also recommend the Praline Bacon Waffles for those of you with both a savory and sweet tooth. 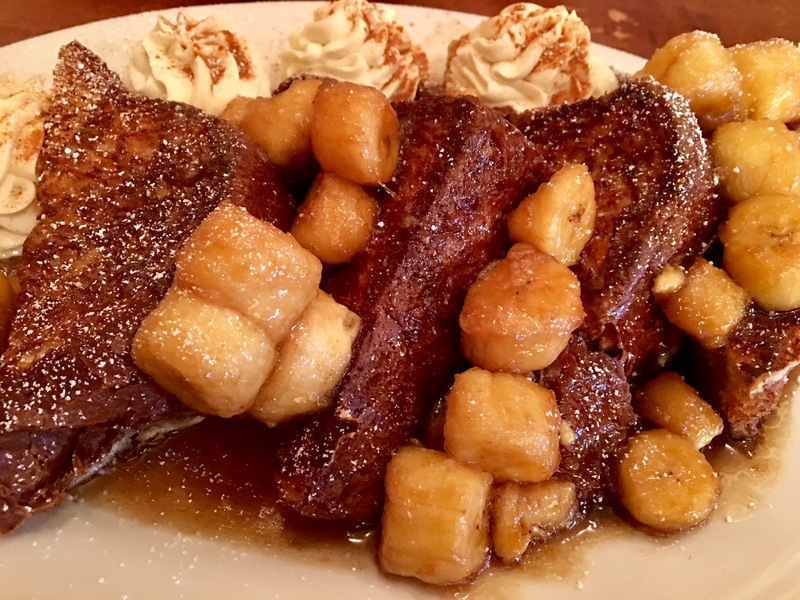 Last but not least, I was shocked by the Banana Foster French Toast. So much so I feel like it's up there with the Fried Chicken & Waffles, gasp! It was juicy, moist, fluffy and crunchy, all at the same time. Highly, highly recommend a visit! I didn't feel like I could get away with writing a Portland Food Guide without including Voodoo Doughnut. I don't know when or how Voodoo Doughtnut became so big! When I lived there, Voodoo was a little hole in the wall doughnut shop in downtown Portland. They only had 1 register and no more than 4 people would fit comfortably inside the store. 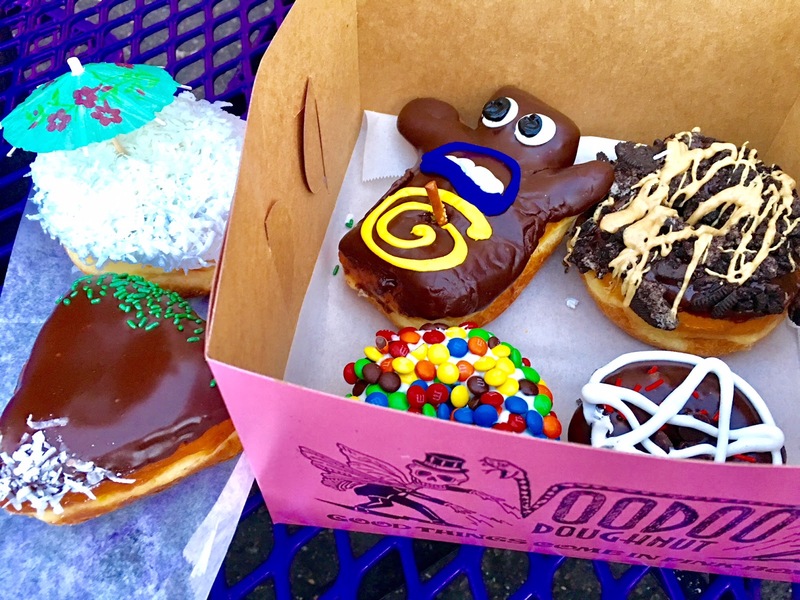 But now, Voodoo Doughnut is well known and has opened additional stores in Los Angeles, Austin, Denver and Orlando! Do I think their doughnuts are top notch? Not at all. What they are is eclectic, unique and fun. Their iconic Voodoo Doughtnut has jelly filling for blood and a pretzel stick stabbed through the 'heart' of the Voodoo doll. They're also known for their Maple Bacon Doughnut, Tang Doughnut and fun seasonal varieties. No, I don't think they're worth the price but it's Instagramable and a place you should at least stop by when in Portland! Do you love sushi? 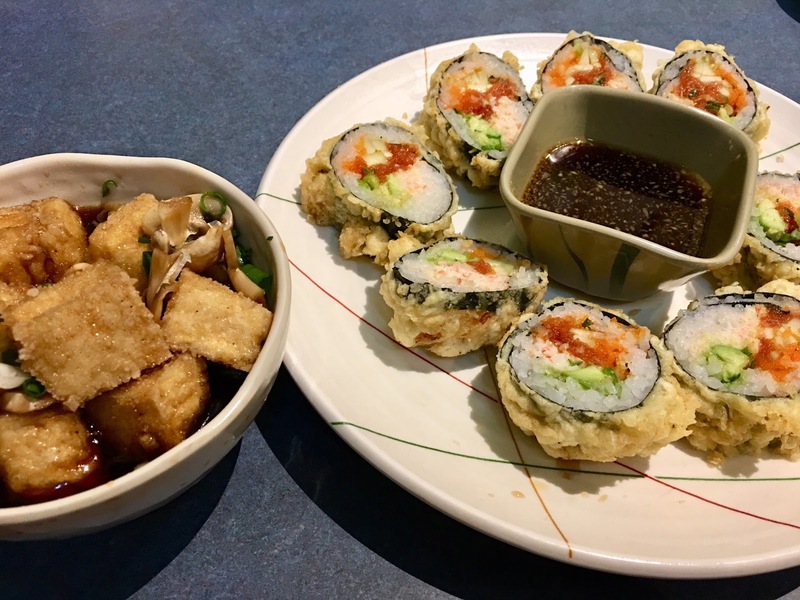 In my opinion, Saburo's is one of the best Portland restaurants that serve sushi. If you're downtown, it's a little out of the way but worth it in my eyes. No, Saburo's is not an expensive, fancy sushi store. In fact, it's quite the opposite. It's reasonably priced and their sushi sizes are absolutely ridiculous. 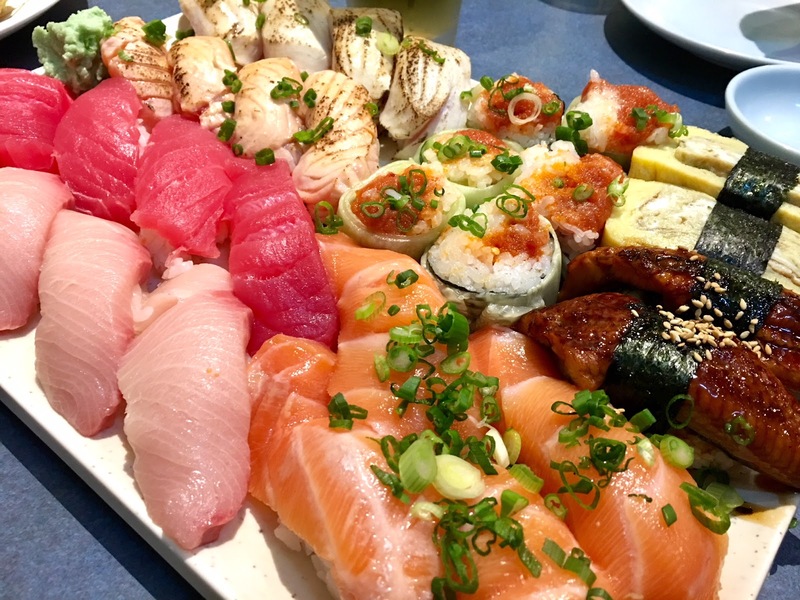 As a native Japanese, it makes me laugh whenever the sushi comes out and I see how gigantic the pieces are. Don't get me wrong, the quality of the fish is top notch. I know that by experience of course but my friend is the supplier for Saburo's and her company only handles seafood of the utmost quality. The one downside? The wait can be anywhere between 1-2 hours. If you couldn't piece it together by their name, Lardo serves up some serious fat! Lardo's is a spot that's constantly on Portland Food Guides as one of the best restaurants in Portland. If you're in the downtown area, Lardo is a great downtown Portland restaurant to consider eating at. Lardo's are famous for their Dirty Fries and sandwiches. 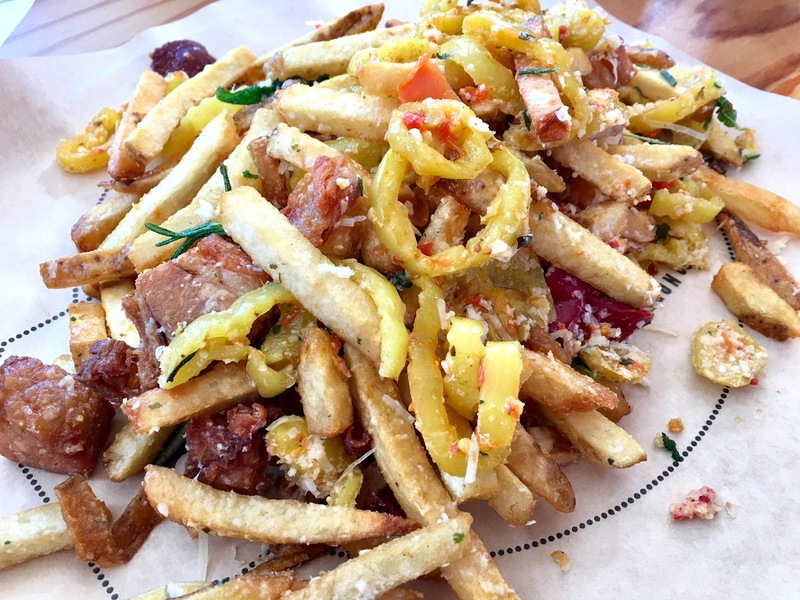 The Dirty Fries are fries with pork fat scraps, peppers, cheese and herbs. Sounds seriously dirty, right? My favorite appetizer from Lardo's is the Hush Puppies. Piping hot, crispy and moist. Enough said. 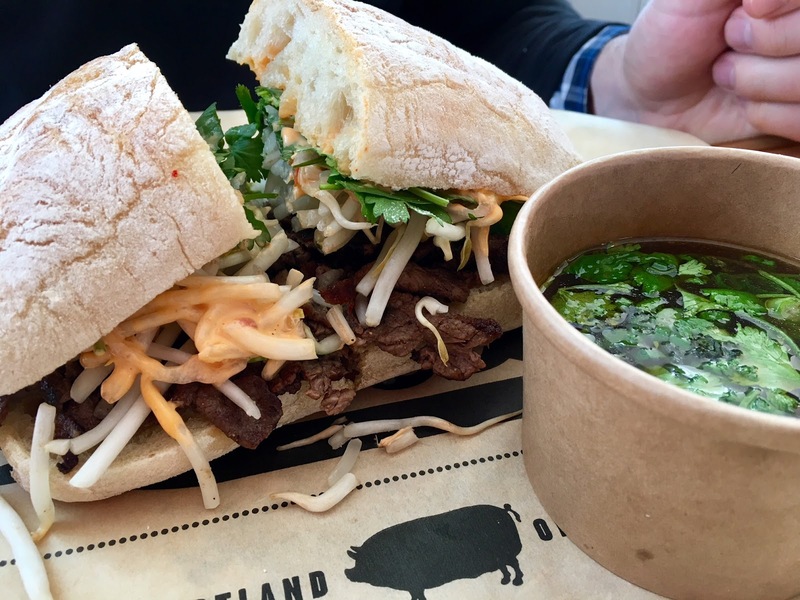 As for sandwiches, the Korean Pork Shoulder and the Pho'Rench Dip are the most popular, which we ended up trying. If you're a fan of kimchi and something a little fatty to be indulgent, the Korean Pork Shoulder sandwich is sure to please. For something lighter, try the Pho'Rench Dip. If you're a Pho Noodles fan, even better! The dip is pho stoup stock so it's basically Pho in sandwich form. So good! We also hear the Crispy Pig Ears are delectable but if we had that too, we would have had to Uber straight to the hospital. Another donut shop? Yes, another donut shop. 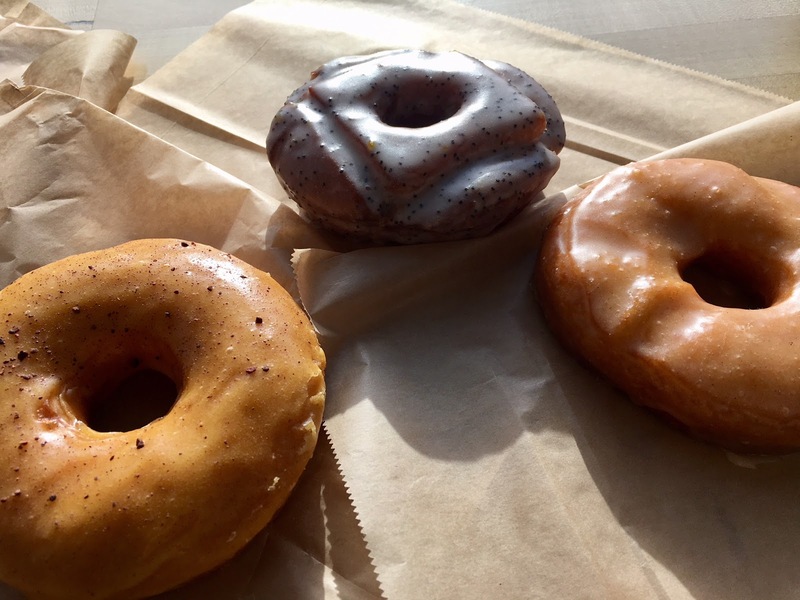 Blue Star Donuts is another popular and widespread donut shop that originated from Portland. They're known to create, "Donuts for grown-ups". They use local products, sometimes liqueur and truly passionate about their donut quality. 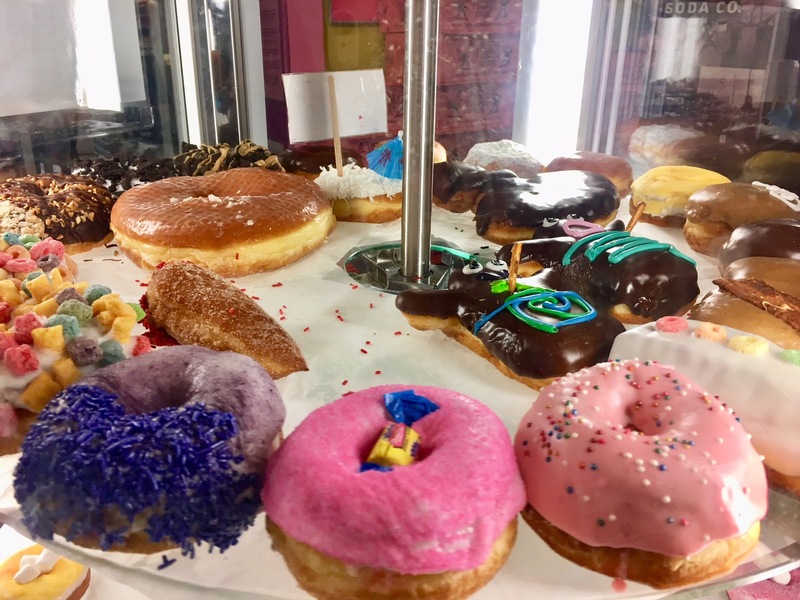 Voodoo Doughnuts is flashy, Instagrammable and ok quality. Blue Star Donuts on the other hand, about the same price (if not slightly cheaper), truly unique flavors and high quality you can taste. These are reasons why I'm not surprised they spread so quickly! 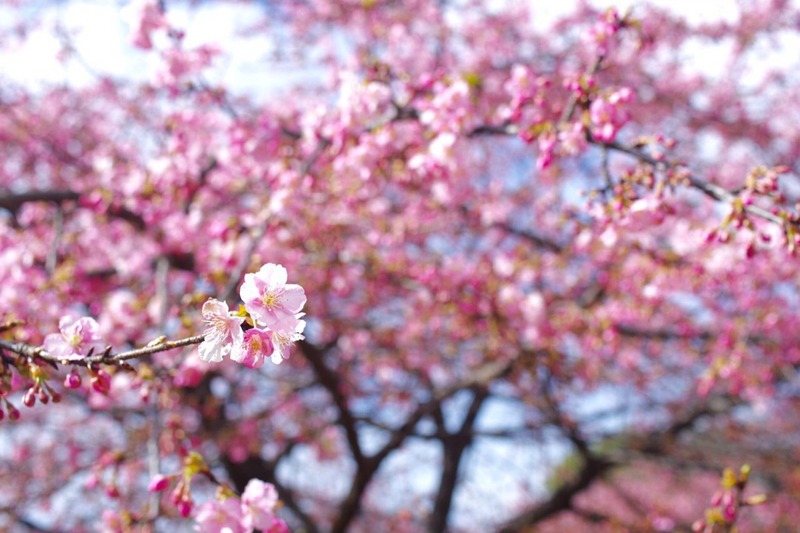 They're also all over Oregon in addition to 2 locations in Southern California and Tokyo, Japan. 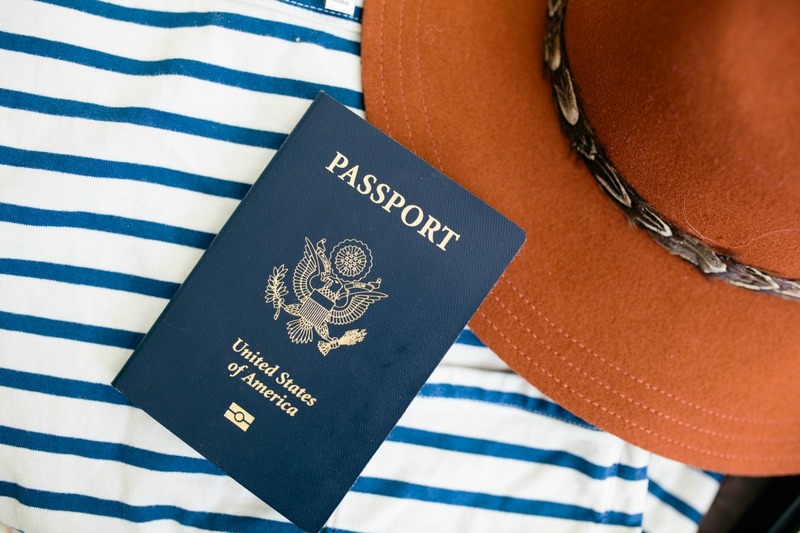 If you're visiting Portland, the downtown Portland location is convenient and around the shopping area as well as the PDX (Portland International Airport) location outside of security. My favorites? The Matcha Donut, the Passionfruit Cocoa Nib Donut and the Poppyseed Donut. We were so lucky to have had the best weather Portland's had in months during our stay but at night, it got chilly. After 3 hours of hammering away at making awesome crafts at the DIY Bar, we needed some food and something warm at that! There's quite a few ramen restaurants in Portland so it was hard to pick just one. 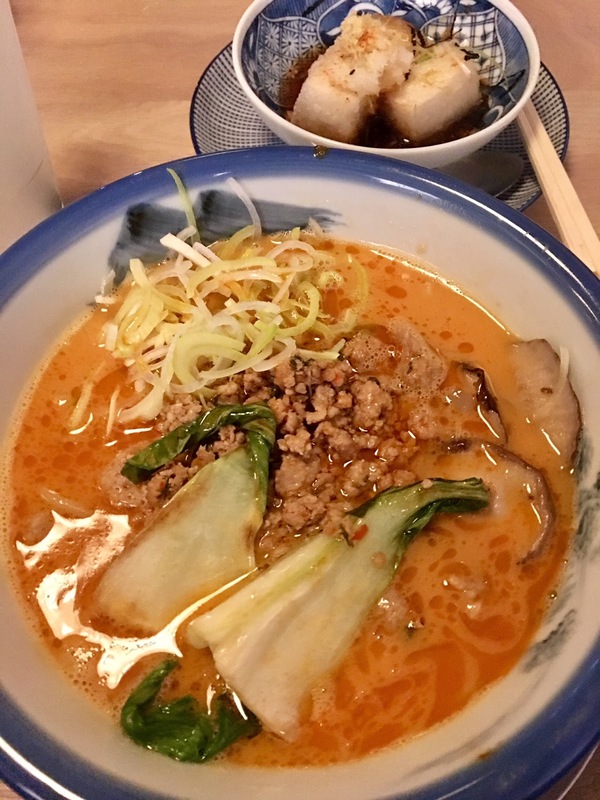 Out of convenience, we chose the downtown Portland area and ended up at Afuri Ramen & Dumpling. 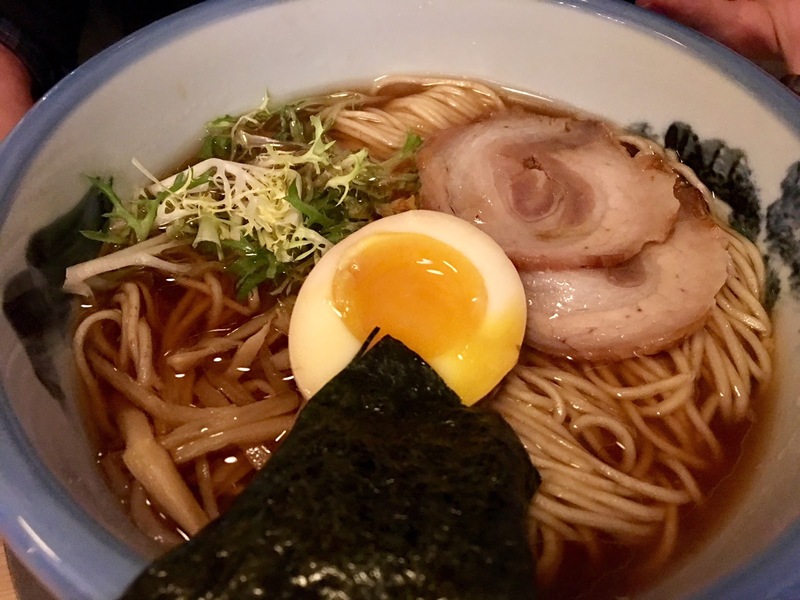 It's new and known for their Yuzu Shio ramen base, a light broth with a hint of yuzu citrus. Even though their name includes 'dumpling', none of us were impressed by either the Gyoza Dumplings or the Shrimp Dumplings. Their ramen on the other hand, was delicious! I ordered the Tonkotsu Tantanmen which has a spicy creamy miso base and enjoyed it a lot. I also tried their original Yuzu Shio Ramen and it was tasty too! If you're not a yuzu or citrus fan, don't worry. If it wasn't called Yuzu Shio, I wouldn't have guessed there was any yuzu in it. In general, a great ramen restaurant choice in Portland! The Food Cart scene in Portland some say, is what made food carts so popular all over the country in the past few years. Food carts are huge in Portland and most of the food cart pods (groups of food carts) are in downtown Portland. The only problem with this is that the food cart pods are only open during the weekdays since they target business clients that are working downtown. So when you're visiting Portland on a weekend, you can't enjoy much of the food cart scene....until Cartlandia came about! 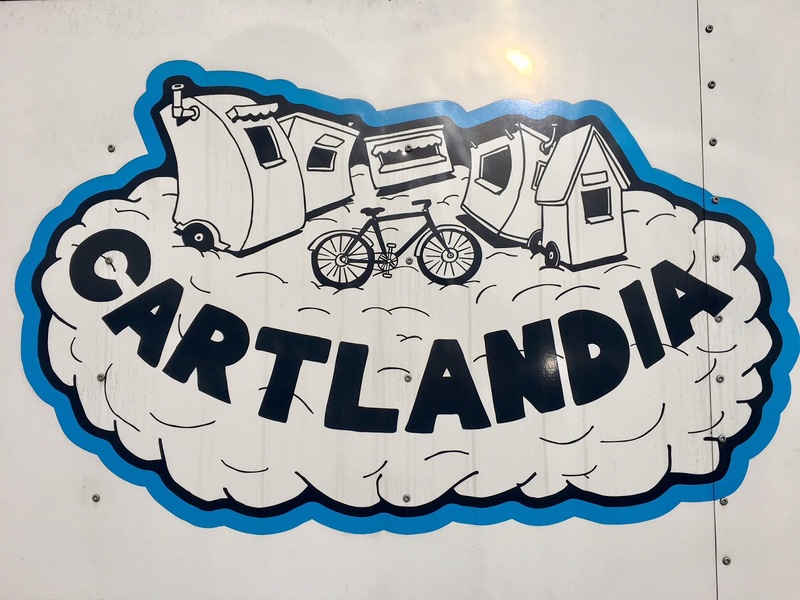 Cartlandia is a 'super pod' of 30+ food carts located in SE Portland. Some of their food carts rotate and the options are endless. The best part? They're open every day so tourists can enjoy food carts on the weekends! Our favorite carts during our visit? 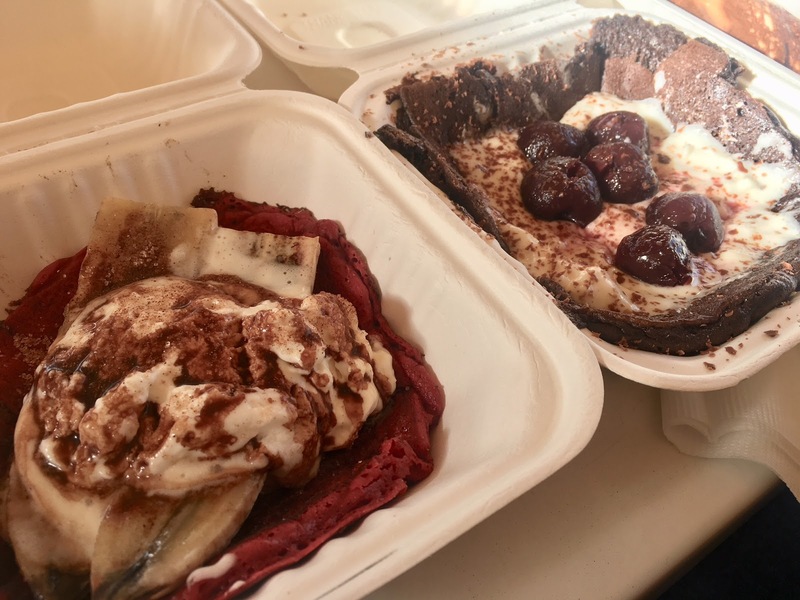 The Pancake Underground, Ooh Pasta and Taste of Mongolia! How do I explain Mcmenamins? It's a Portland institution founded by 2 brothers back in 1974. They started by opening pubs which to this day is their bread and butter. However, they've grown so much that they've expanded to having not only pubs but breweries, coffee roasters and even hotels! It truly is an eccentric brand but tremendously loved by Oregonions and tourists. If you're looking for brewery restaurants in Portland, this is the spot. I've been to several pub locations while I lived in Portland but the Ringlers Pub in downtown Portland by the Crystal Ballroom is my favorite. They have a few pool tables and shuffle boards to play with while you enjoy drinks and food. I can't visit Portland without eating their cajun tots and a slice of their cheese pizza! Their burgers are also delicious and supposedly the truffle fries are to die for. I don't drink much but if you're beer drinker, you have to give Mcmenains a try! I'm a huge coffee snob and while I've tried several (hundreds?) coffee shops, Dutch Bros is hands down my favorite coffee spot. Which is actually pretty sad considering we don't have any Dutch Bros down in Southern California. 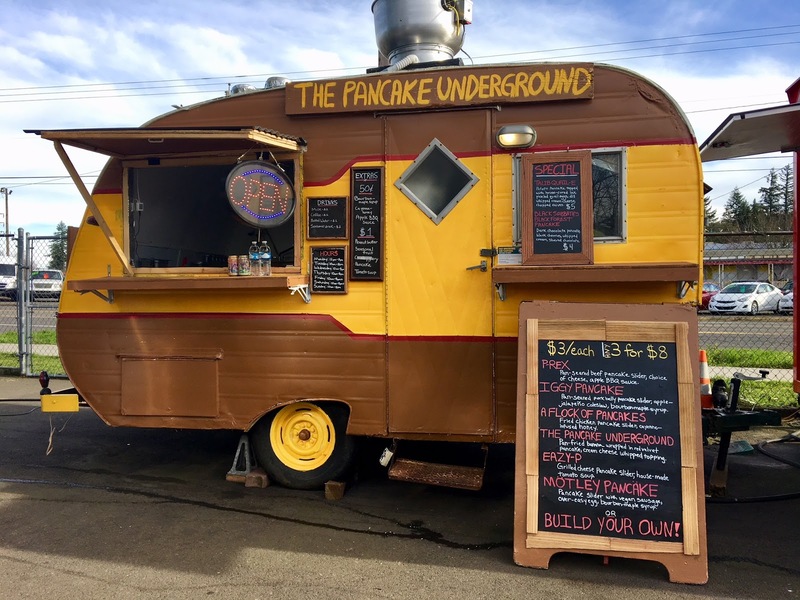 They're an Oregon-based coffee stand with a sprinkle of stands in Northern California. 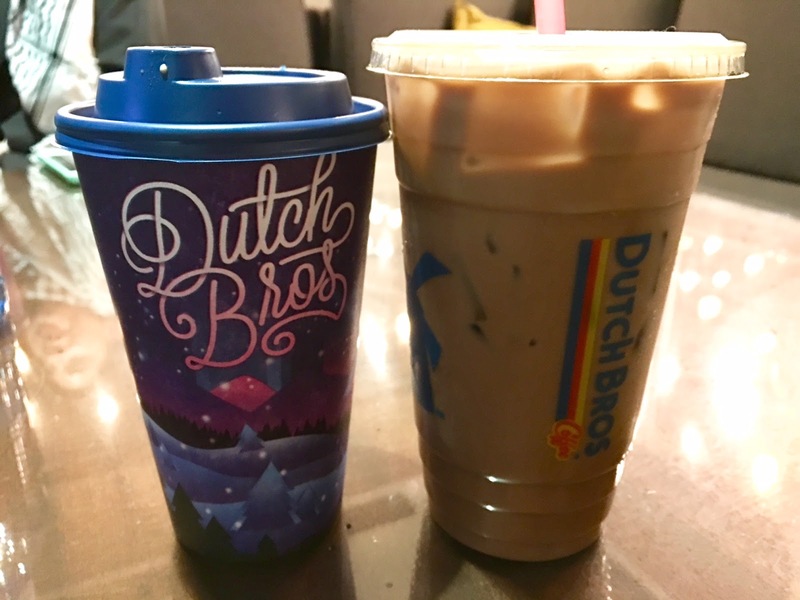 At Dutch Bros, it's the experience in addition to the coffee. It doesn't matter which Dutch Bros stand you go through, the employees there are amazing. They're friendly, attentive and the service is beyond what you would expect from a little coffee stand. Fun fact, the best Front Desk Agents I've hired in my hotel career were former Dutch Bros employees! My recommendation at Dutch Bros? The Cocomo, a coconut mocha - yum! Their seasonal drinks are amazing too (Eggnog Latte, anyone?) but if you don't like sweet drinks, not to worry, their black coffee is of quality too! 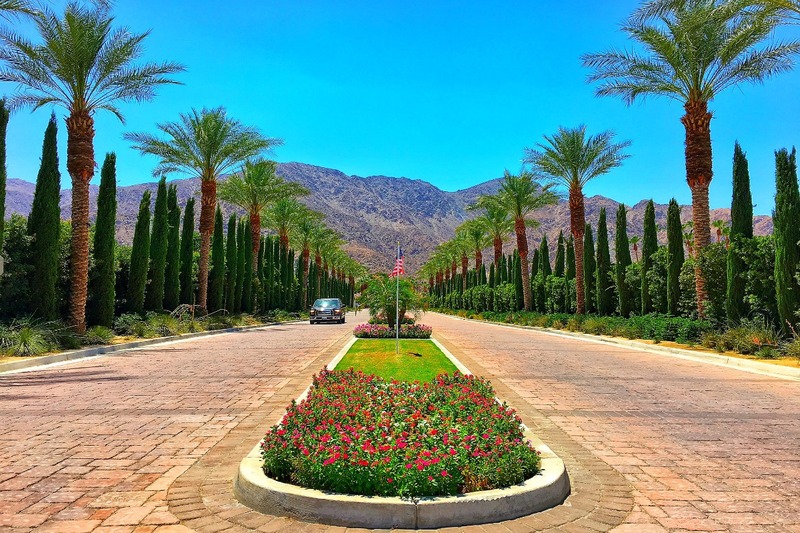 Address: Several, click here for locations! I decided to add the Proofreader Whiskey Craft Kitchen as a bonus since I technically haven't been there. The Proofreader Kitchen is inside of the Portland Marriott Downtown Waterfront, which is where I stayed. Unfortunately their grand opening was a few days after I checked out. However, I did have the opportunity to try out a few of their dishes and drinks during my stay. 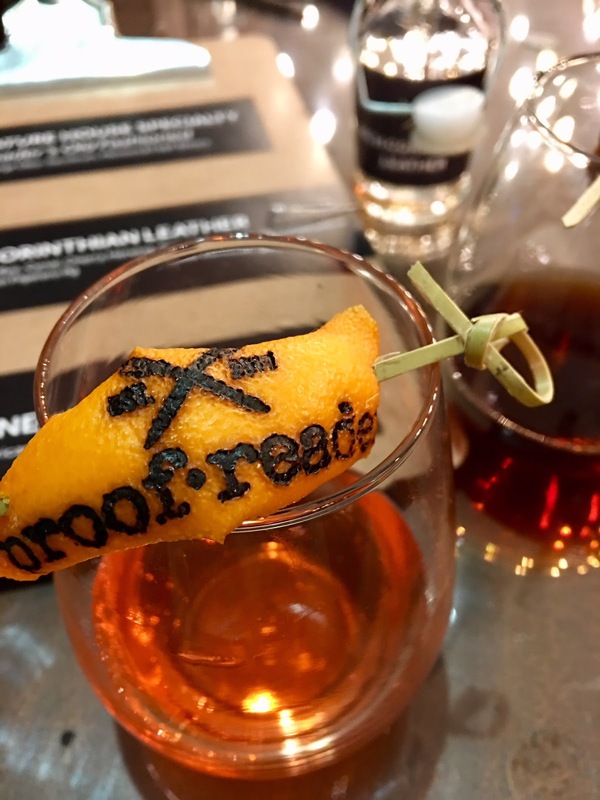 If you like whiskey, you're going to love Proofreader! Have a mixed whiskey drink as you snack on rosemary hazelnuts or elk jerky. What do you think of this list? I think these are some of the best restaurants in Portland and I hope it helps you in some way! Again, if you want to listen instead, click here for the podcast episode! If you want to add to the list, please feel free to leave a comment so both readers and I can try it out next time I'm in Portland! Want to see other food guides? That waffle though. Looks sooooo yummy!!! Sounds like portland has lots of awesome restaurants! I think it's impossible to read one of your food articles without feeling hungry by the end of it. 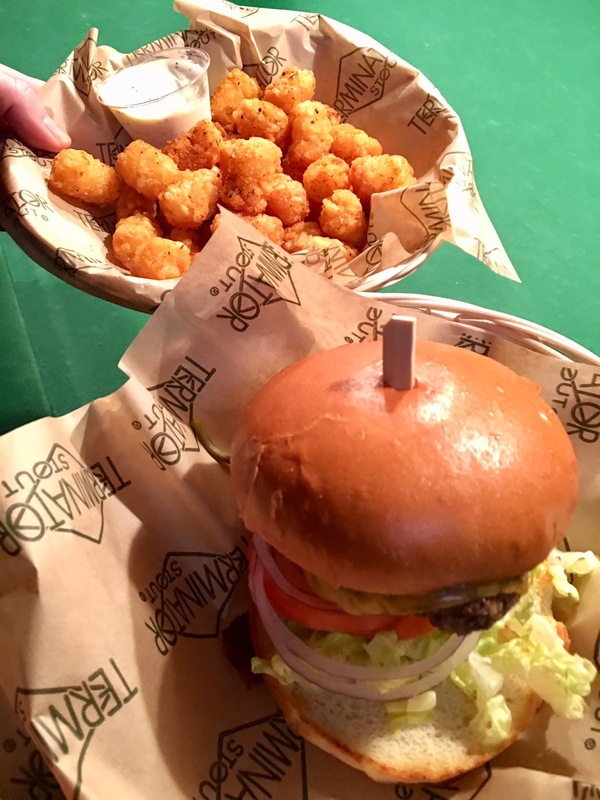 Great job done on a very tantalizing review of Portland's best food options. I am bookmarking this for future reference!!! Love this list! I've always wanted to visit Portland and I will definitely use this guide when I do! Dutch Bros. sounds amazing (it can be so hard to get friendly service at coffee places) and Cartlandia also looks so fun and Portland-esque. :) I've heard so much about Mcmenamins, too. What an interesting brand! Yes, Cartlandia is so Portland, haha! Hopefully you can visit someday! XO P.S Did I end up adding you to the board? I feel like I did but if not, let me know!!!! Oh my lord all this food looks incredible. 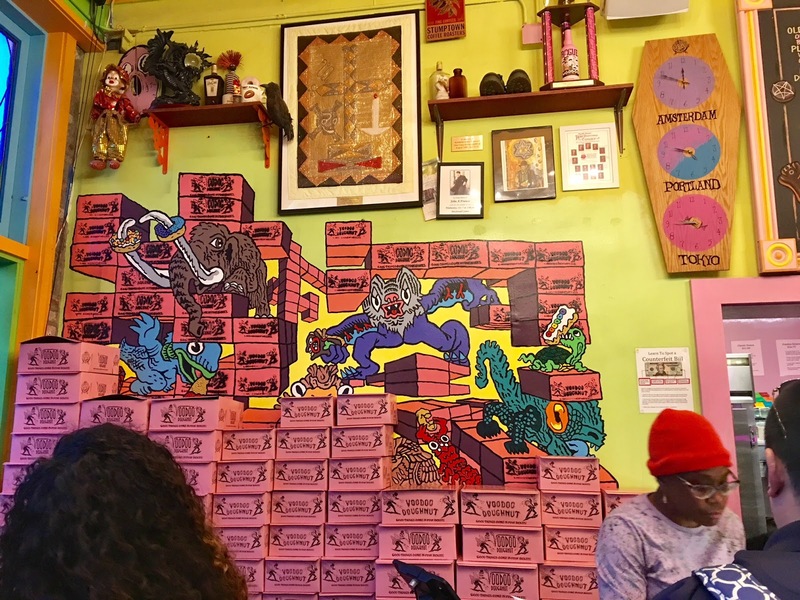 The voodoo doughnut is crazy! I could eat all of those and the sushi.